Tips to make the most of an intervention for drug or alcohol addiction. Drug and alcohol addiction can leave your loved one feeling hopeless and you feeling helpless. Your loved one may feel stuck, as though nothing they can do will make any difference. But that does not have to be the way things are. Holding an intervention can make the difference and motivate your loved one to seek the care and treatment that they need to overcome their addiction and regain control of their life. To that end, there are things you can do to improve the likelihood of a positive outcome from an intervention. These tips can help you approach an intervention with confidence. A study published in the Journal of Consulting and Clinical Psychology found that close to 75 percent of families who have an intervention related to alcoholism are successful in helping their loved one seek care. Another study from the American Journal of Drug and Alcohol Abuse found that people confronted about their addiction tended to stay sober at a higher rate than those who were not confronted. Time and time again studies show that interventions are highly effective at getting a loved one to decide to seek care and encourage lasting results once they do. Do not let the fear of not doing things perfectly or at the right time stop you from having an intervention. The people who participate in the intervention are of incredible importance. These individuals need to know and love the person who is battling the addiction. It also helps to know that the individuals attending the intervention can remain calm and motivational throughout the process. An intervention is not the right place for people who are looking to settle scores or air past grievances. The focus of intervention is on loving, caring and encouraging the addicted individual to seek care. This tip is closely related to the second tip; bringing the wrong people to an intervention can create an uncomfortable, unproductive, and tense environment instead of one where a productive outcome is likely. The topic of an intervention for loved ones is not an easy conversation to have, but it’s important to note how difficult it is also for the person battling the addiction. Even though they are surrounded by people who care, it will be easy for the one suffering with an addiction to feel attacked and, ultimately, become defensive. Because of this, they are likely to say mean, hurtful things or become animated. Interventions are inherently confrontational because you’re addressing a negative behavior, but that does not mean that tempers need to flare up or that anger should be allowed to flow unchecked. It’s important to stay calm and mitigate any negative behavior. Nurturing this loving and accepting environment is key to an intervention. Stay focused on approaching the conversation from a place of care, love, and concern for the wellbeing of your addicted loved one. Additionally, there are a few other ways that you can foster a calm environment and make the situation easier for everyone involved. These can include picking a comfortable, private location to have the intervention, practicing what you and others will say to the addicted loved one, and preparing for the possibility that things may not go according to plan. An important aspect of an intervention is that drinking and using behaviors are being brought out into the open, and there will be some consequences. In the most loving way possible, the addicted person needs to hear how their relationships will change if they choose not to accept help. These can be boundaries interrupting financial support, living arrangements, legal support, or even contact if your loved one refuses help. The goal of this practice is not to punish the person, but to create an atmosphere in which accepting help for addiction or alcoholism becomes the path of least resistance. One thing to remember is that these have to be boundaries that you are willing to keep. Often times if the person has heard empty threats of these consequences before, they will not take your word for it. They may refuse help initially to test the situation. The most loving and kind thing that you can do is remain loving but firm about the boundaries you choose to set. The ultimate goal is for the person to see that the consequences of continuing to use are more uncomfortable than the fear of getting help. Sometimes the first intervention may work, and your loved one will decide to pursue the care they need. Sometimes they will resist and withdraw from any help. It’s important to recognize this as an opportunity to try again rather than a failure. The key is not to give up. While the first attempt may not always work, being proactive and persistent in your loved one’s recovery may be exactly what they need to start the path that leads to long term rehabilitation. Often, having someone showing their love for the addicted person, whether using intervention or just having a conversation, is enough to drive that person to seek help. Gulf Breeze Recovery is changing the future of addiction treatment with the THRIVE® program focused on overcoming chronic relapse. For more information about our program or to speak with an Addiction's expert call: (855) 433-4480 or contact us. Are you or a loved one struggling with an addiction and looking to make a change? 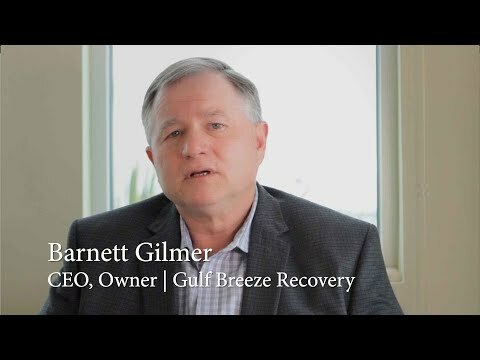 Reach out to Gulf Breeze Recovery and contact us.